The biggest Award show of the year, the Academy Awards celebrates excellence in cinematic achievements in the film industry. On Oscar night, fashion meets film in a star studded event that brings many of our favorite celebrities together. In between the speeches and awards we marvel at the night’s best dressed. Jennifer Garner was in attendance to introduce one of the Best Picture films. She was classic in a black one-shoulder Versace Gown with a sequin bodice and flowing train. Reese Witherspoon and Kate Winslet introduced two of the Best Picture films. Reese with perfect in a purple Oscar de la Renta gown, while Kate wore a Ralph Lauren black shimmering gown. John Legend presented the award for Original Song with Common. 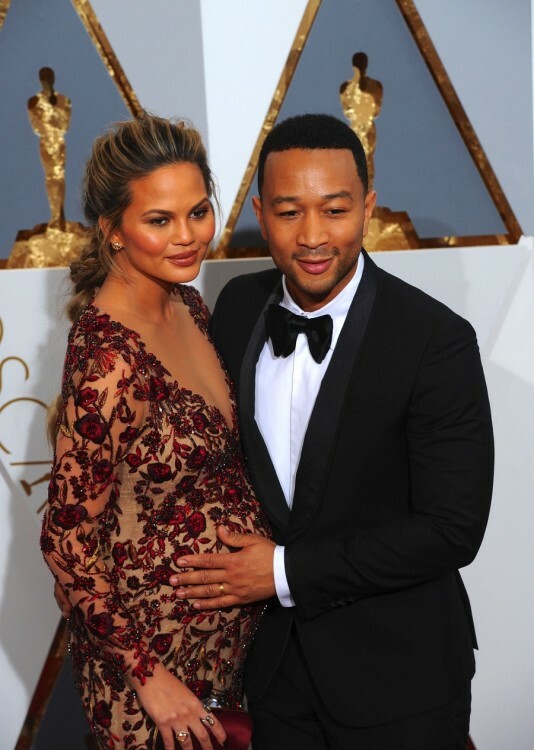 He attended the awards show with his pregnant wife Chrissy Teigen. The mama-to-be showed off her growing belly in a red and tan Marchesa gown. Olivia Wilde introduced one of the Best Picture films with Sacha Baron Cohen. She wore a white Valentino Haute Couture gown with a plunging neckline. 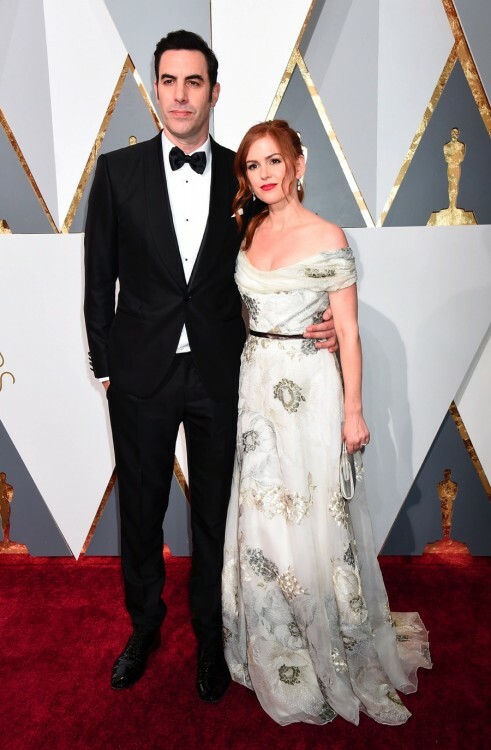 Sacha attended the ceremony with his wife Isla Fisher. She was elegant in a white off the shoulder Marchesa dress with floral embellishments. Kerry Washington was hot in a Atelier Versace gown with leather bustier. She was on hand to present an award. Emily Blunt’s tiny baby belly was visible under her pink Prada Gown. She presented the first award of the night – Best Original Screenplay – with Charlize Theron. Liev Schrieber was on hand to support his film Spotlight, which was nominated for 6 Academy Awards, and took home the statue for Best Picture. His date, and long time partner Naomi Watts was beautiful in an Armani Privé sequined gown, which she paired with Bulgari jewels and clutch. The post Celebrities Sparkle At The 88th Annual Academy Awards! appeared first on Growing Your Baby.